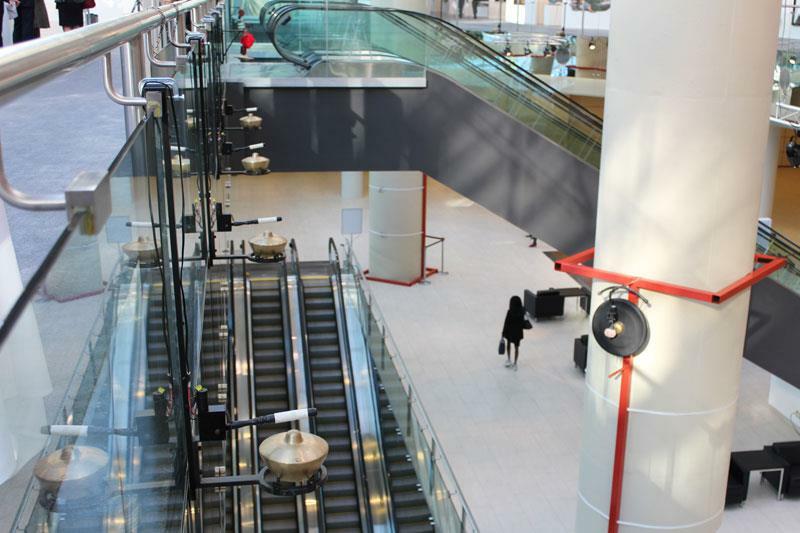 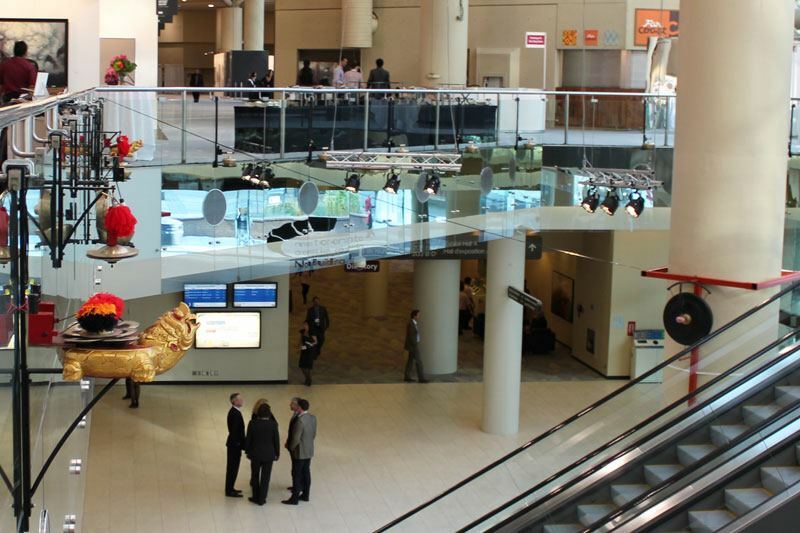 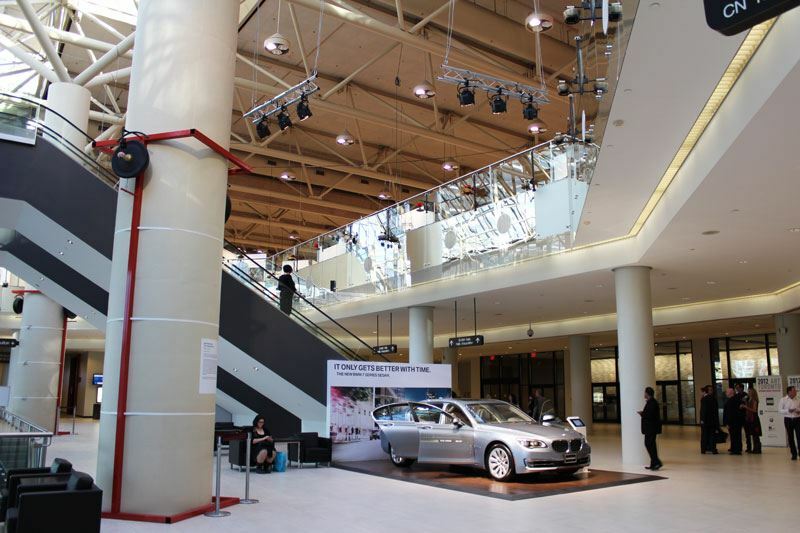 The Gamelatron Project was invited by Art Toronto to create a site specific signature installation in the Metro Toronto Convention Center. 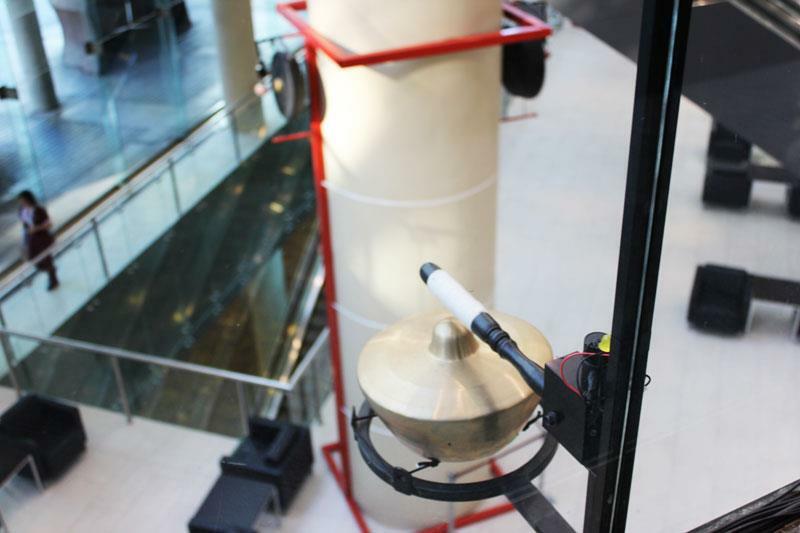 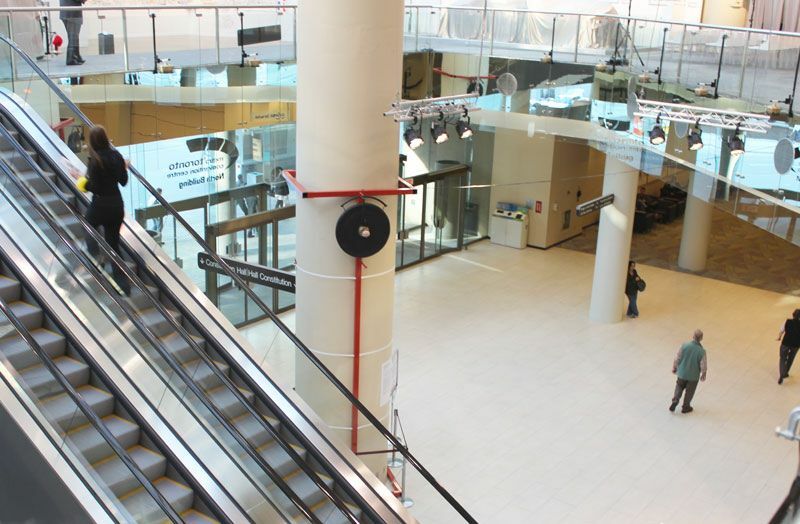 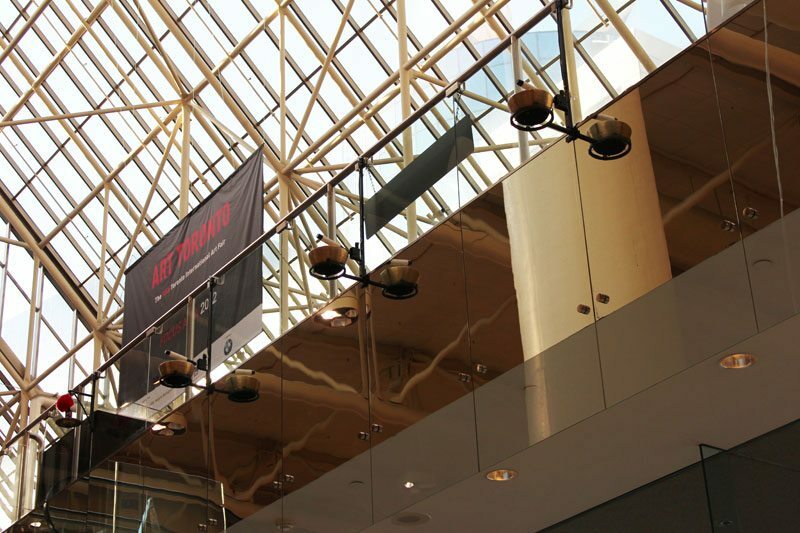 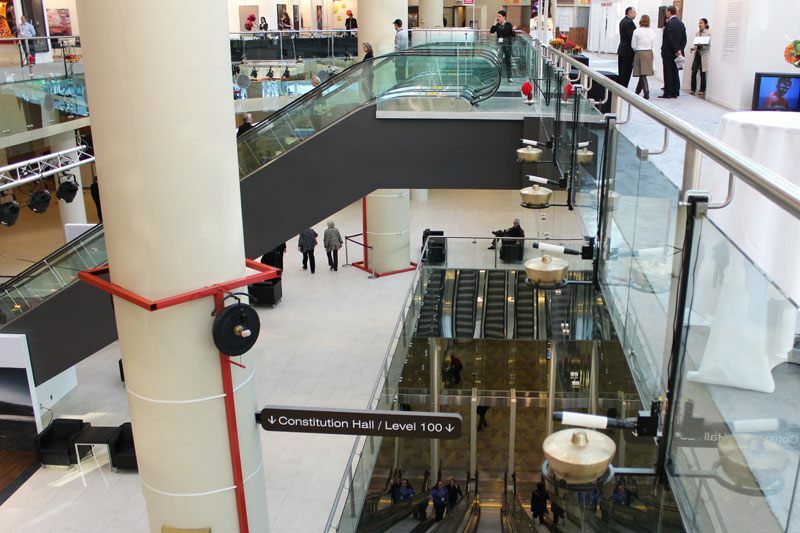 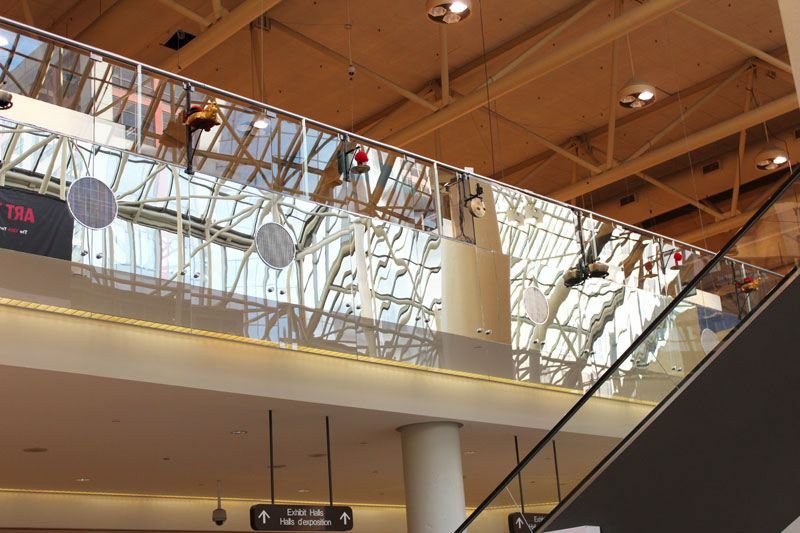 37 pieces of the Gamelatron were mounted with custom fittings on the inside of a glass atrium enveloping the escalator entrance to the fair 26 feet above peoples heads at street level. 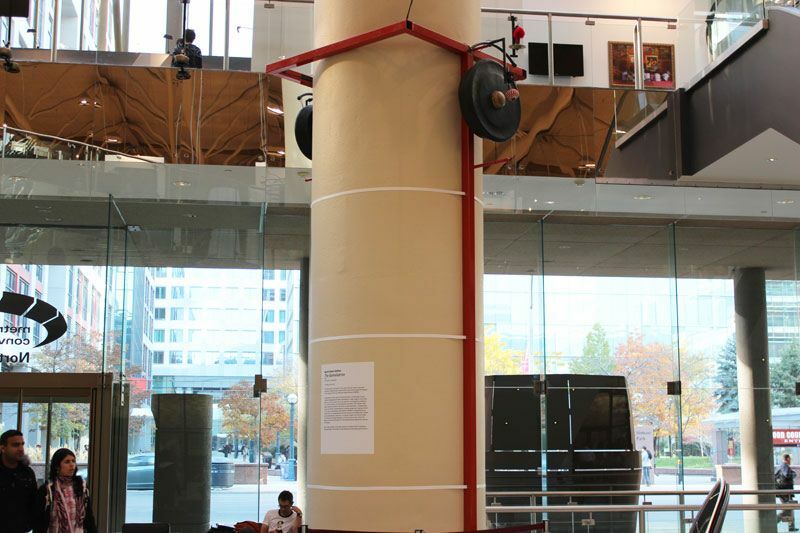 Compositions acted as the back drop to the entire fair.